When faced with moving into a small dwelling, you might feel like the minimalist trend is your only answer. Good news: That's simply not true. It's actually quite easy to hold onto your valued belongings — if you're smart on storage. When working with a small space, it's all about finding or creating nooks and crannies to house your stuff. Here, some tips on maximizing every ounce of your living space. 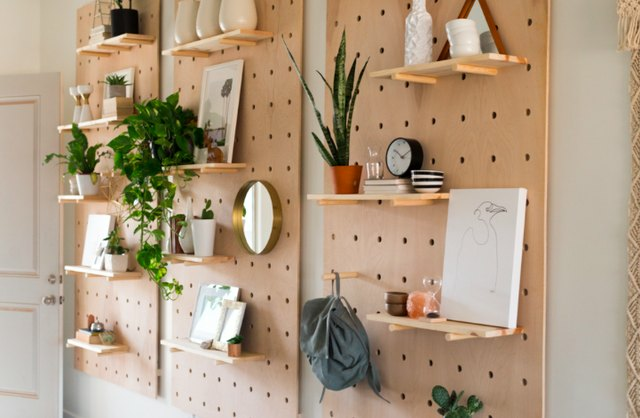 Take note: Peg boards are a genius way to make wall storage look cool. Using dowels and shelves, you can mix-and-match the wall to your liking. Vintage Revivals breaks down this giant pegboard DIY on their blog. Create more living room space with a double-duty couch. 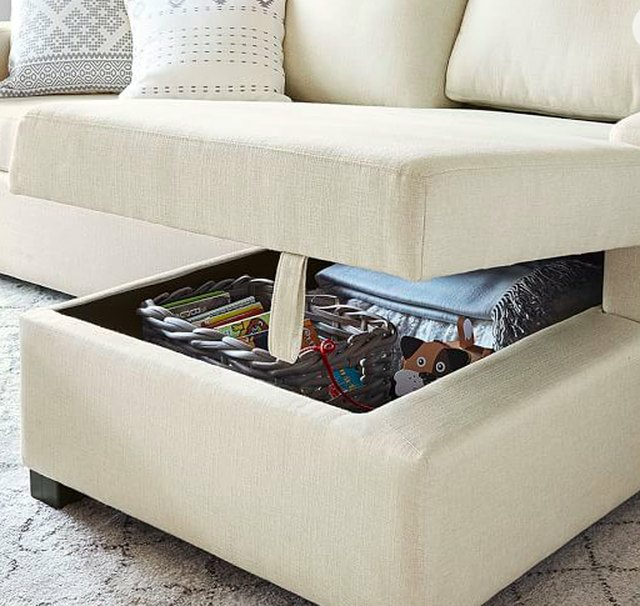 Pottery Barn has several types of sofas with storage; some with a chaise portion of the sectional that is essentially a cubby and others that function like a sofa bed, but instead of hiding a bed, you're hiding all your stored items. Pretty clever, right? Consider a bed with storage. Old-school bed storage is simply cramming anything and everything under the bed (more on that later). 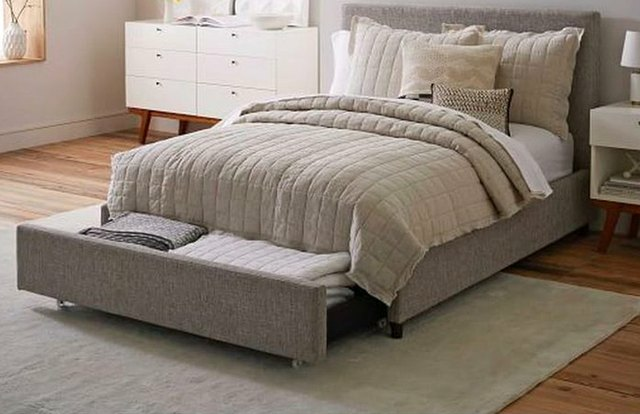 If you want to step your storage up a notch, consider buying a bed with storage build into the frame. Most of these types have a drawer-like space under the bed and sometimes even storage in the headboard. If you don't want to buy a new bed that comes with built-in storage, or perhaps your own bed is too low to the ground to fit anything underneath, then bed lifts (or bed risers) are you best friends. These ones from Bed Bath & Beyond are solid mahogany, though standard plastic bed lifts are readily available as well. 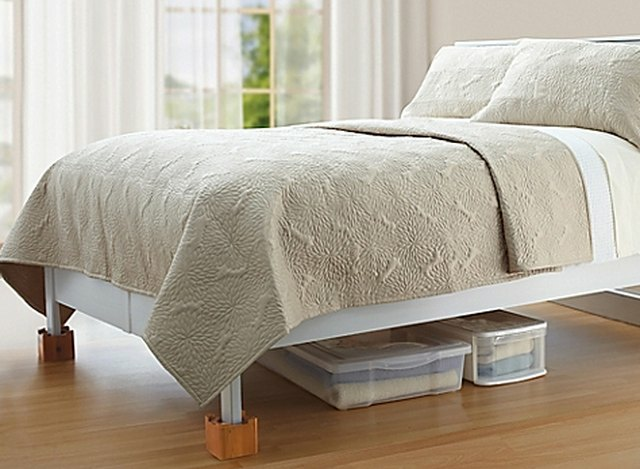 Lift your bed a little higher off the ground and store as much as will fit underneath. 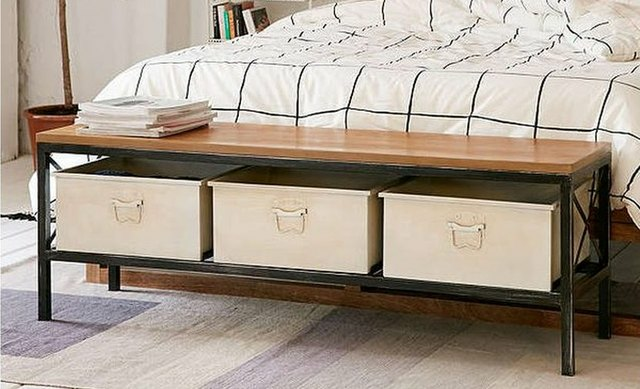 Use a storage bench in a bedroom or living room. If we haven't made it clear by now, furniture with its own storage compartments is wonderful. A storage bench can make a classy addition to the end of your bed or for seating space in a living room. Not only does the bench not take up as much seating as an oversized chair, but you can also cram a ton of stuff inside like blankets or books. 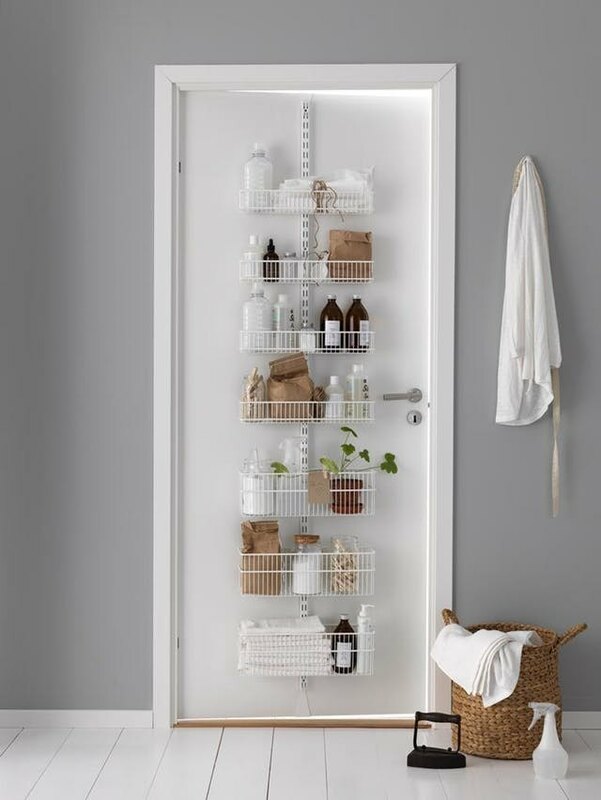 When we think of building shelves or utilizing the wall for storage space, we often forget that the space above the door is available as well. Take advantage of the above-door area to store items you don't need on a daily basis. 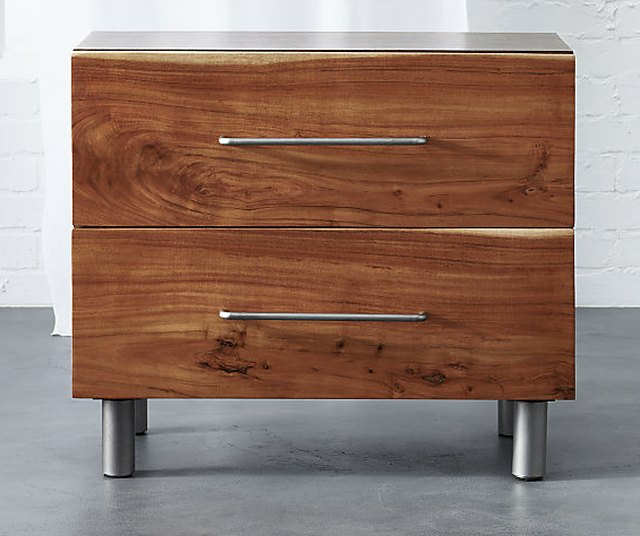 Look for nightstands with deep drawers. A nightstand doesn't need to simply be a flat surface for a single book and lamp. Go for a nightstand with at least two deep drawers, so it can hold more than just the one book you never seem to finish before bedtime. 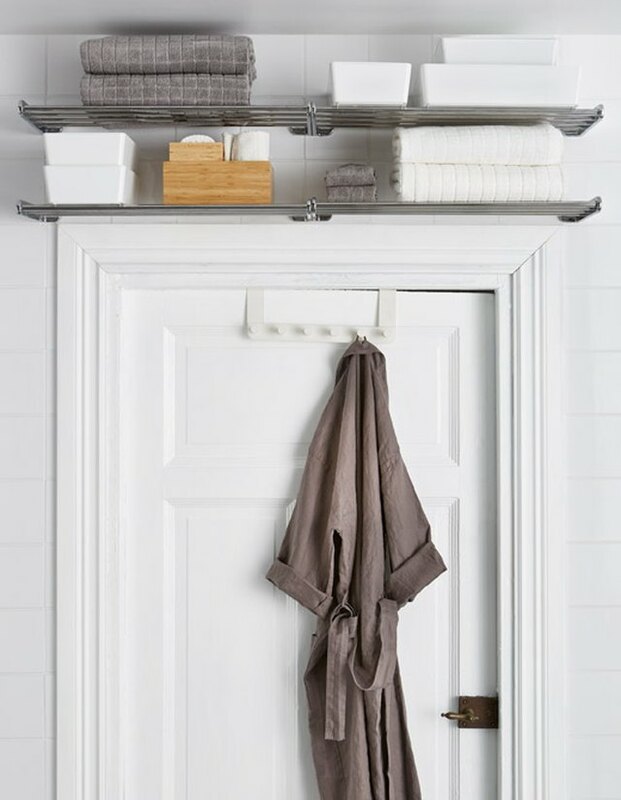 Don't just stop with an over-the-door coat rack. This basket-based storage rack utilizes the mechanics of a hanging coat rack but features much more storage space. Bonus: No drill of any kind required. This one on Overstock is just $53.99. 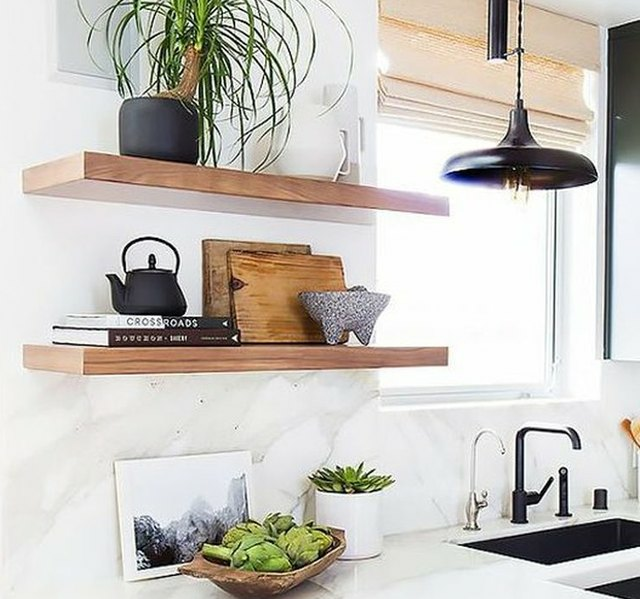 Use floating shelves on empty wall space. The best thing about floating (or open) shelves is that they free up floor space. 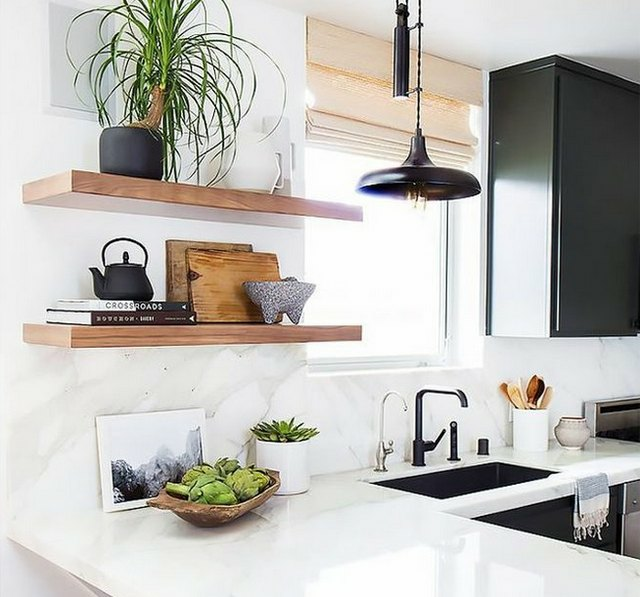 Also, floating shelves are your best friend in a small space because they are customizable. Place a solo shelf in an area with little wall space, or stack several in a row. Here's a handy guide to arranging floating shelves. Take advantage of a floor pillow. Maybe your living room can only fit a solo sofa or love seat instead of the standard sofa and chair combo that a larger room can accommodate. Instead, try a floor pillow as an alternative to an oversized chair. 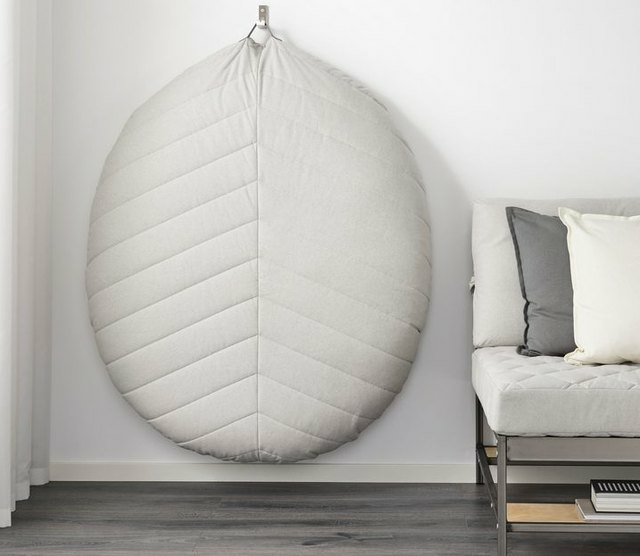 This one from Ikea is $79.00 and comes with a loop so you can hang it on the wall when it's not in use. Hang your bike from the ceiling. 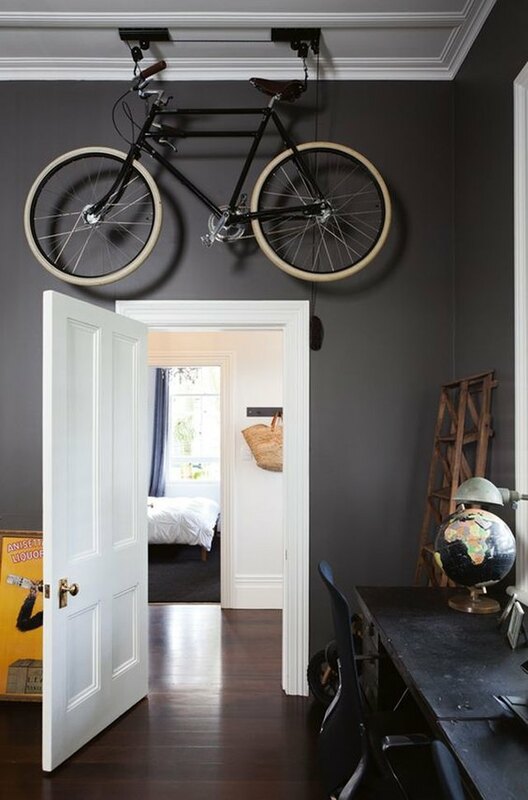 We've heard of hanging a bike on the wall, but if you're already using your walls for floating shelves and peg board organizers, then the only place left to go is up. As in, the ceiling. The photo above uses a pulley system to literally hoist the bike towards the ceiling. Drawer organizers are your friend. Welcome to the world of drawer organizers: For every type of drawer, there is probably an organizer out there for it. 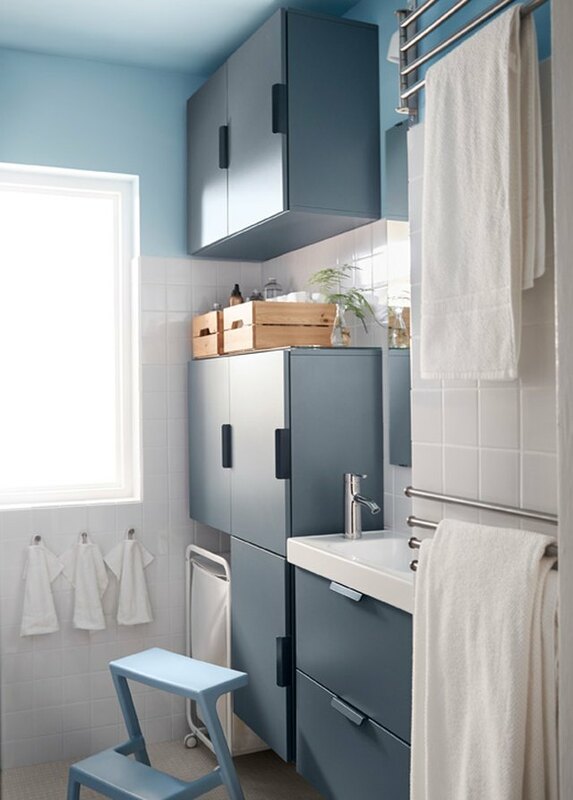 From your bedroom dresser to your bathroom vanity, it's a perfect way to maximize space and keep things organized. Check out The Container Store for options with multiple combinations. 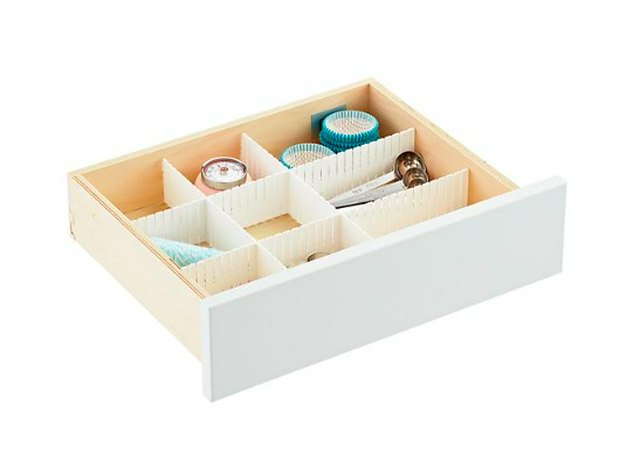 Ikea also sells organizers specifically fitted for their own dressers. Build all the way up. Who says you can't have a shelf end flush with the ceiling? When you're short on space, you have to build all the way up. Bathrooms and kitchens make the most sense for this kind of utilitarian use of space. We often take for granted that a kitchen will automatically come with built-in storage and shelving units. What if you live in a micro-studio where the kitchen is simply a hot plate and one cabinet? 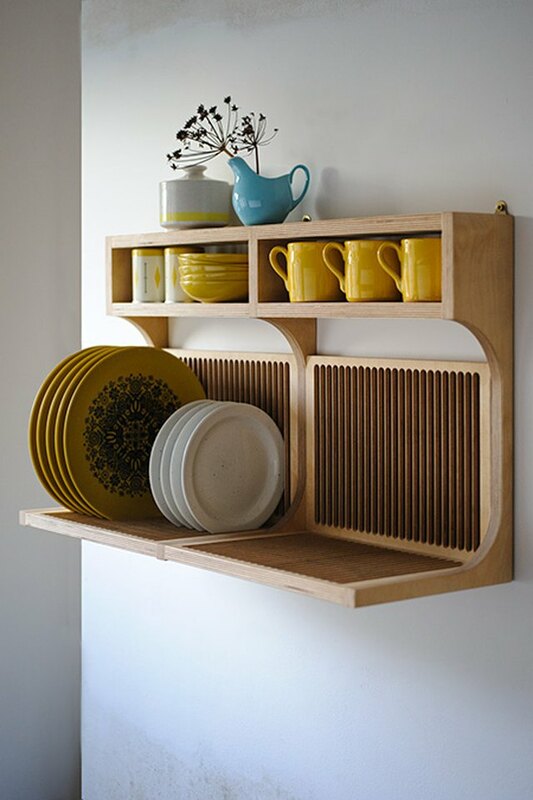 Building kitchen shelves, especially ones with grooves for plates, is a great idea.